Starting from the ancient Chinese capital of Xi’an, this journey takes you past the Terracotta Soldier Army and through the catacombs of Ming Emperors before venturing out into the vast Changqing Nature Reserve. See China’s incredible endangered wildlife, undisturbed by crowds of visitors. Arrive at Xi’An International Airport and be welcomed by our representative. Check in to your hotel and then head out to explore the historic Muslim Quarter (also known as Islamic Street). What used to once be the beginning of the Silk Road is now lined with Islamic restaurants and souvenir stalls. Enjoy a welcome dumpling dinner at night. Bordering the Qinling Mountains and the banks of the Wei River, Xian has been the capital of some of the most important dynasties in China. Home of the treasured Terracotta Warriors, created during the Qin dynasty, (221-206 BC), and the eastern end of the Silk Road, Xian is a city filled with history. Between their famous jiaozi (dumpling) feasts, and history that stretches longer than the Great Wall, Xian epitomizes traditional Chinese culture. See the Terracotta Warriors today. Unearthed in the suburbs of Xi’an, the army of Terracotta Warriors comprises one of the most remarkable archaeological discoveries of all time. 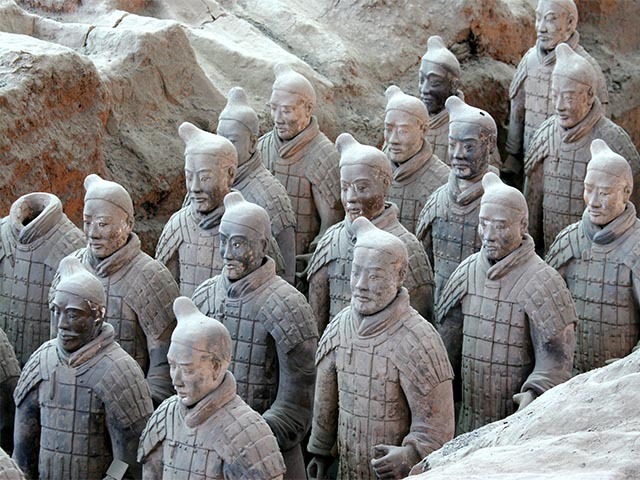 Consisting of 8,000 life-size soldiers, 100 chariots and 600 horses, none of which is identical, the army was built to guard the remains and massive mausoleum complex of Qin Shihuang (259-210BC). This pivotal and controversial “First Emperor” forged a handful of warring states into a unified China and began construction of the Great Wall. Despite drawing many curious visitors, this UNESCO World Heritage Site exudes a charged silence. One might even expect a command to ring out urging the army to rouse itself from its 2,200-year slumber and march into battle! After lunch, drive to Changqing Reserve (four hours) and check in to your hotel. Today you will spend the day in the Reserve bird watching. Visit the middle mountain habitat (Diaobahe/Zhongba/Gumuping) This area is a good place to see the golden pheasant; numerous thrushes; red-billed blue magpie and the crested kingfisher just to name a few. Also visit beautiful rivers and waterfalls and many areas frequented by the giant panda and other wildlife. At all times on this tour you will not only be looking for bird species but also other amazing wildlife found here in Changqing Nature Reserve such as the giant panda, golden takin and golden monkey. A limited numbers of travellers are allowed to visit Changqing Nature reserve at a time. The reserve encompasses 30,000 hectares of wilderness at 800-3,071 meters (2,600 – 10,075 feet) above sea level. Surrounded by bamboo forests, mountains, waterfalls and creeks, a visit to the reserve gives you the opportunity to see some of China’s most incredible endangered wildlife, undisturbed by crowds of visitors. In the evening, enjoy the delicious local food and enjoy some leisure time. Today you will transfer to Da Ping, the highest area of the Reserve, early in the morning. Visit a primitive forest and 100 meters high waterfall and enjoy the stunning views across the Qinling Mountains. At this higher altitude you have a good chance of seeing the blood pheasant and upland buzzard. This evening your expert birding guide will hold a discussion on the birds in Changqing Reserve and you can discuss your bird watching experience and share sighting highlights! Today you get to see giant pandas! You will spend the day visiting Baiyangping area in the reserve, where the giant panda is known to live. There are only 1,600 giant pandas left in the wild, and 300 living in zoos or breeding centers. 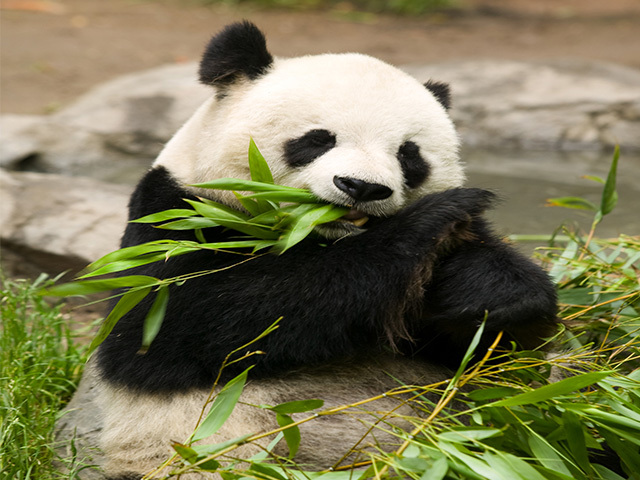 Because they only digest a small portion of their food, giant pandas must eat a massive amount to obtain the necessary nutrients. When they’re not eating, pandas enjoy lounging and resting before their next round of food. Have lunch in Huayang Village and depart for Yangxian in the afternoon. Check in at the hotel and venture out for a short walk for bird watching at the Hanjiang River. Tonight enjoy your dinner with a local flavour at the night market. Go on a final bird watching trip across the Hanjiang River. Then drive back to Xi’an and enjoy a farewell dinner. Today is the last day of your holiday in China and you will be transferred to the airport for your flight home today.